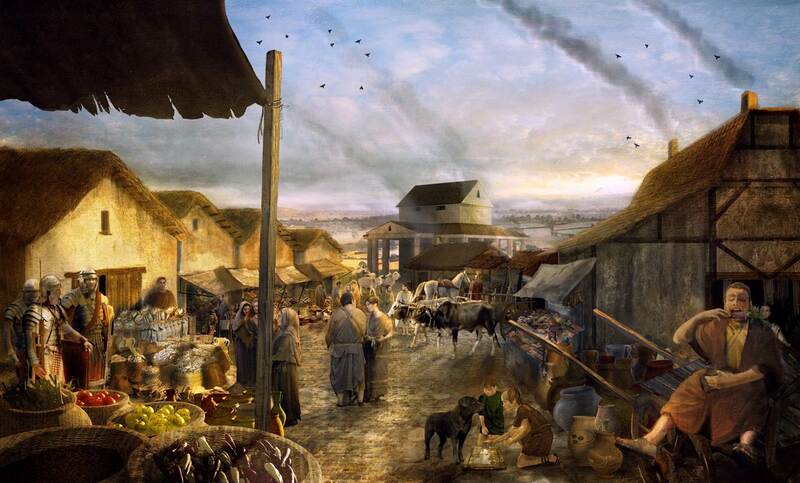 Why did the Romans come to Castor? After the Roman invasion in 43 AD and the defeat of the British tribes in the south the Roman army gradually moved northwards and westwards, establishing forts and building roads as they went. One of the places they had to stop at was the river Nene, to establish a crossing by building a bridge and then a fort to protect it. A settlement gradually grew up around that fort and eventually became a town called ‘Durobrivae’. The town stood on the important north-south route, Ermine street and on an important river as well. People and goods could travel by road or by boat both further inland or out to the coast and then either up to the north or down to the capital-Londinium. Christianity first came to Britain probably with some Roman soldiers and at first it was outlawed because Christians would not accept any other gods or the worship of the Emperor. By the beginning of the fourth century in 313AD the first Christian emperor, Constantine said Christians were free to worship and it eventually became the official religion. 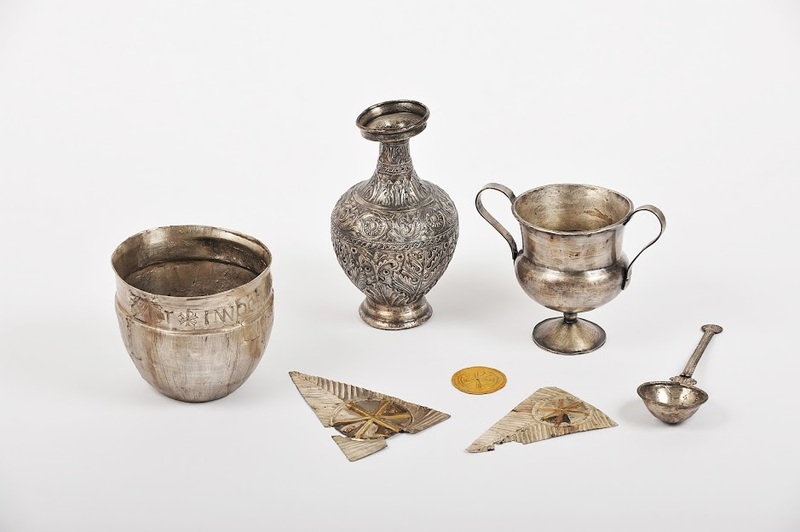 The collection of objects found in the Water Newton Treasure are very special not because they are silver or very beautiful but because they have Christian signs and symbols on them . They must have been given to the church by local Christians who may have been living in the town or in the Praetorium in Castor. They would have been used in the communion and other Christian services. They are the earliest collection of Christian church plate found anywhere in the whole Roman Empire! The Romans , or at least those who could afford to be , were very fussy about their appearance and personal cleanliness. So going to the baths was an important part of their daily routine and separate bath houses are found in their villas , town houses and forts as well. They also had large communal baths in their towns which were important social centres where you might go to meet your friends, hear the latest gossip or strike a business deal. Edmund Artis found a bathhouse in the 1820’s below Castor church in what is now the school playing field. On his print you can clearly see the brick supports for the hypocaust or heated floors in some of the rooms. Roman baths usually did have three separate sections, a frigidarium of cold bath, a tepidarium or warm bath and a caldarium of hot bath and you would move from one to the other. It all sounds very pleasant for the users , but not so for the slaves who had to stoke the fires of the heating system on a cold winter morning. The Romans originally worshipped many different gods and tolerated many different religions in all the lands of the Empire. You could worship the classical gods like Jupiter, Venus or Mars, or gods from eastern cults such as Isis or Serapis or Mithras. Often the Emperors were worshipped –especially in the army or you might just have a’household’ god to bring you and your family good fortune and to guard against evil.